Free Clinic patient John has worked full time as a cook for many years. He stands on concrete all day, beginning at 4:00 am when he arrives at work. Before visiting the Free Clinic, John had not seen a doctor in 20 years because he’s never had health insurance. John visited the Clinic because he became unable to walk due to leg pain and swelling that were unbearable. He continued to work but had to crawl on hands and knees up the stairs to his bedroom when he got home each day. John said he felt “miserable.” He was overweight, he had a blood clot in his leg and suffered from arthritis in his knees and ankles. John came to the Free Clinic upon the advice of his mom who had previously been seen here. With the Clinic as his first stop on the road to better health, he has since been referred to orthopedic and vascular specialists and has had blood work and a sonogram. He has had cortisone shots in his knee and ankle to help with the pain and is medication-free with no pain. John is now working on losing weight in order to have ankle surgery for bone spurs and arthritis. He has been successful: he has lost 80 pounds. He owes his success to replacing gallons of soda and sweet tea a day with water and eliminating carbs. Additionally, John has cut back on cigarettes. Once he meets his weight loss goals, he plans to quit smoking. 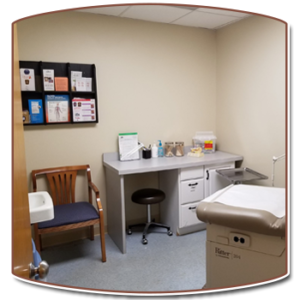 Monday: 9 a.m. to 3 p.m.
Tuesday: 9 a.m. to 3 p.m.
Tuesday: 9 a.m. to 11 a.m.
© 2018 Free Clinic of Culpeper | Site designed & developed by K Art and Design, Inc.